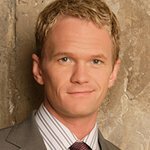 Neil Patrick Harris and the American Theatre Wing announced this week that they are partnering with Prizeo, the online platform that democratizes giving, to offer the chance for one lucky fan to join Harris on set of his Netflix Original Series “A Series Of Unfortunate Events” in Vancouver, BC, this fall. Beginning today, Harris is inviting fans to visit prizeo.com/NPH and make a $10 donation to receive 100 entries for the grand-prize opportunity to join him in Vancouver this October, where they’ll meet on set of “A Series Of Unfortunate Events.” Roundtrip airfare and hotel accommodations for two are also included—a truly fortunate experience. The special sweepstakes benefits the American Theatre Wing, celebrating its centennial this year by reaffirming its mission to ensure that the next generation is on stage, behind the scenes and in the audience. “Having hosted four Tony Awards and winning one himself, Neil is the true definition of a show man. We are thrilled that he is able to join in support of the Wing for our Centennial, with this once-in-a-lifetime opportunity,” said Heather Hitchens, President of the American Theatre Wing. Neil Patrick Harris’ Prizeo campaign runs from August 23 to September 26 at prizeo.com/NPH.